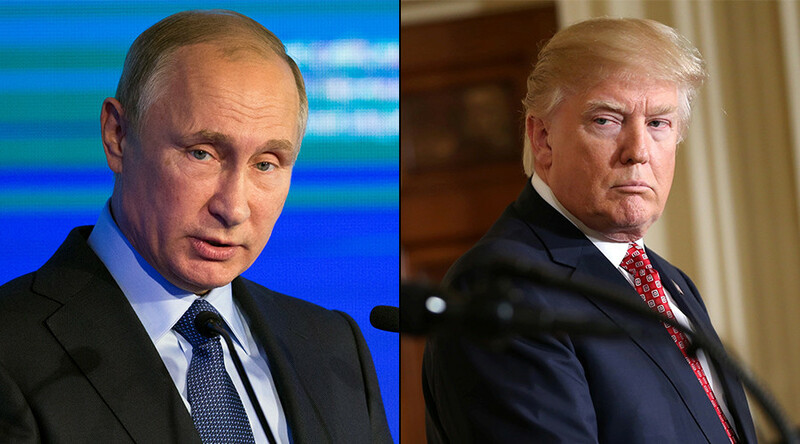 More US sanctions aren’t going to change Iran’s behavior and direct war doesn’t seem a possibility, but the situation could be defused during a meeting between Vladimir Putin and Donald Trump, says writer and Middle East commentator Sharmine Narwani. 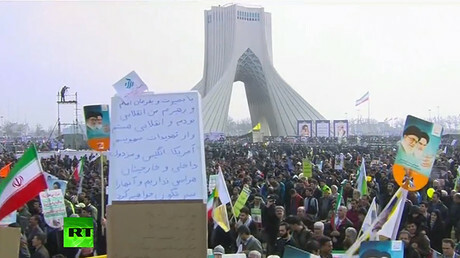 Hundreds of thousands of people gathered this week in cities across Iran to mark the anniversary of the 1979 Revolution that put an end to the US-backed monarchy and led to the establishment of Iran as an Islamic Republic. However, not all the banners being waved were about Iran. 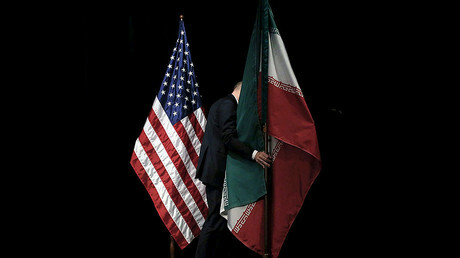 Various negative images of Donald Trump and the American flag were also on parade, as feelings against the US have increased of late with the Trump administration taking a hard line on Tehran. RT: Where do you think this latest increase in tensions between Iran and the US will take us? Sharmine Narwani: The Middle East has always been unpredictable in the best of times. With chaos around the world now, it is even harder to predict. If we were dealing with sane players in a sane situation, we could make rational arguments. I wonder how the US could actually confront Iran directly. More sanctions aren’t going to change Iran’s behavior, and threats haven’t seemed to make a difference. When Iran launched a missile test in January, it didn’t back down from the US threats and, in fact, just on Wednesday, launched another one from the very same site. Direct war doesn’t seem a possibility. There are far more unintended consequences that could come at the US from launching any strikes against Iran than in almost any conflict the US has seen in recent decades. Even the nuclear deal – Trump promised to walk back on that and he seems to have reversed his position. I do think there is a possibility to defuse the situation, and I think it may well come after a Putin-Trump meeting, where Putin will sort of lay out their mutual priorities in the Middle East, Syria in particular, and talk to him about how Iran is essential in the ground war in the fight against terrorism. So, there are possibilities still. RT: In the run-up to the US election, Donald Trump promised less US meddling in the affairs of other countries. What do the Iranian people think about where Donald Trump is going to take US-Iranian relationship? SN: I think Iranians, like Americans, don’t actually know where Donald Trump is going to go with a lot of this. He didn’t seem to prioritize Iran in his campaigning. It was ISIS [Islamic State, formerly ISIL], NATO and rapprochement with Russia. The threats against Iran have come a little bit out of left field and confused a great many players on the international stage. It has yet to be seen. But Iran is on guard; Iranians are on guard as we saw with demonstrations. They are not backing down, though there were some hopeful posters up saying that we don’t have a problem with the American people; it’s just the government threats coming at us now. RT: Hopes were high after the nuclear deal was signed in 2015, sanctions were eased, etc... Why all the backpedaling now? SN: We hear this as though Trump has backpedaled on some great Iranian-US rapprochement. In fact, the Obama administration continued with threats against Iran and against Iran’s interests, and ramped up sanctions to a level we’d not seen before, and intervened intrusively in Iran’s civilian nuclear programs. I think it is just a shift of administrations, really, that we are looking at, and a lot of soundings had been made and posturing in the early days. I don’t think there is any significant shift yet. We are still in the talk phase. There is a lot more waiting to be done before we see how this manifests.